These Traditional Rummy Rules cover the basics of all rummy games and the rules of one of the most popular of all the Rummy variants, the Traditional Rummy game. It’s been popular since the advent of the game although possibly overtaken by Gin Rummy in terms of popularity but still has a place in online games where many players enjoy this version over the others. To begin, each player is dealt 10 cards as their starting hand. As with other rummy games, the remaining cards are piled, face down, on the table as the stock pile and one card placed face up to start the discard pile. The start of a players turn sees them drawing a card, either from the stock or discard piles and adding it to their hand to improve the chances of producing sets or runs. At the end of the players turn, a card is taken from the hand and placed in the discard pile. Should, at any point in the game, the stock pile cards are depleted, then the discard pile is shuffled and the cards placed on the table to form a new stock pile, again, as in the initial deal, one card is placed face up to start off the discard pile. In case a player has formed any melds (a matched set or a run), he may also lay them down on the table face up. Players can also add one or more cards from their hand to melds (runs or sets) already visible and laid on the table by any of the players. Going Out is where a player is the first to discard their last card, into the discard pile, after completing runs and sets to use up the rest of the cards. Going Rummy is very similar to Going Out but here the player lays all of his cards into sets or runs, with the last card going into the discard pile, without previously having laid down any melds. Scoring of Traditional Rummy Rules is straightforward. When a player goes out penalty points are given to the other players of an equal value to the remaining cards in the players hand. With Going Rummy, the other players pick up the remaining cards value and an additional penalty of 25 points. 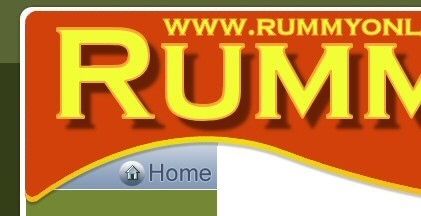 Have you tried our interactive How to Play Rummy tutorial?